00:52:20 Holly Rush is an incredible marathon runner, however, she has recently ventured into ultra running. At her first attempt at the iconic Comrades Ultra Marathon she placed 2nd Brit and 7th overall. She tells us about her story. I started running as a fun runner when I was at University but didn’t start formally training until 2005 when I met my coach and now husband martin rush. I had a break through run at London Marathon improving my time by 10 minutes. Since then I have run over 20 marathons all over the world and been lucky enough to represent Great Britain and England 6 times, something that I never dreamt I would do as a non-exercising beer swilling student. I wouldn’t say i am the most talented or natural runner but I think I have plenty of endurance and just love the feeling that running and training gives me. In between training I work full time doing sports massage and working in my local deli. I have been struggling with a painful hamstring for over 2 years now and after 2 failed injections I am now backing off my training to receive intensive treatment for 2 months so that I might be able to run pain free again. Fingers crossed!.As well as talking about all things running I will most probably ramble on about my two other passions – food and my training partner Mr Mole (the dog). 01:36:40 Talk Training with Ellie Greenwood. Ellie is currently injured and has missed Comrades and will now miss Western States. She provides a great insight and provides some lessons that we can all learn from in regard to injury rehabilitation and assessment. 02:54:40 Clarky’s Corner – US based Brit Nick Clark provides a regular slot as he builds up th the Grand Slam of ultra running. In this weeks show we talk Western States. 03:07:55 Races – Up and coming races for the next two weeks. This entry was posted in Uncategorized and tagged 37, Brit. 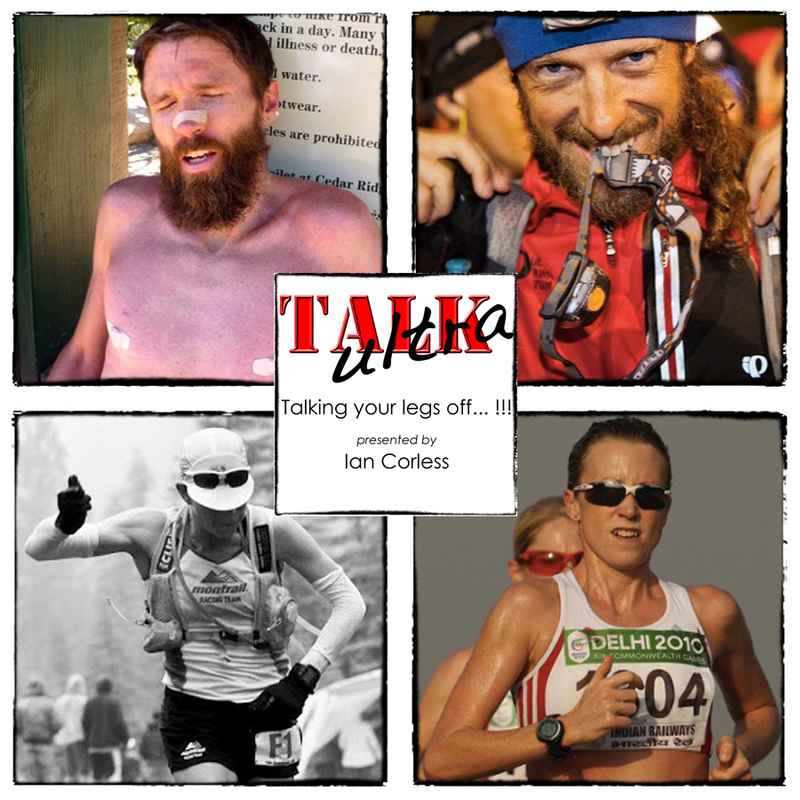 British Ultra Runner, Comrades, Ellie Greenwood, Episode 37, Episode 37 of Talk Ultra, GBR, Holly Rush, Mountain Running, Nick Clark, Rob Krar, South Africa, Talk Ultra, talkultra, Trail Running, UK, ultra trail, usa, Western Sttates, WSER, WSER100 by talkultra. Bookmark the permalink.